Hi! I am visiting from Coffee for your heart. I don’t really know what to write to you, because I was overwhelmed by what you wrote here. I enjoyed reading and it meant a lot to me, you’ve mentioned so much here that touched my heart. I don’t know where to start, so I’ll just share with you my favorite sentence and what feeling I am left with after reading this. It seem like God has poured out some of his wisdom through your words. God bless you. I sit back with a feeling of peace and gratefulness. Oh Ava, thank you so much for reading, and for your very kind comment. This moved me to tears, Anita. I’m struggling right now with my place as a writer and what exactly God wants me to do. Sometimes I, too, feel led to as you write – “no longer trying to imitate the singing-masters of my soul, I now write simply and transparently.” I far too often compare myself with other writers and fall short, but I’m trying to remember God has His own place for each of us. Thank you for reminding me God still builds castles out of glorious ruins. What a beautiful piece of encouragement! Thanks, Krista. So glad you liked it! Joy, thank you for visiting and for your encouragement! Wow, I would love to do the Santiago Compostela. Did you walk the whole thing? How many miles? I don’t read nearly as much as I used to. It seems that, these days, I only have patience to read snippets of things. Perhaps that’s a consequence of my sense of being rushed, as well as having too much access to everything extant on the Web. I suspect that I am not the only one with this problem. Ironically, although it’s now technically more convenient than ever to broadcast millions of words, we seem to be returning back to the brevity forced upon ancient tellers of parables. And so, I think your ability to write in such a clear and compelling way in a short space is fitting for this era. Frequently your writings here instantly convey the heart of God to me. Again today I needed to be reminded of his love, as expressed in his ability to make something new out of what I have wrecked. Thank you! “Frequently your writings here instantly convey the heart of God to me.” Wow, thank you so much. That’s the sweetest compliment. I have a book called “The Shallows” about how the internet has changed our brain, and our capacity for concentration. Fittingly, I’ve just skim-read it. 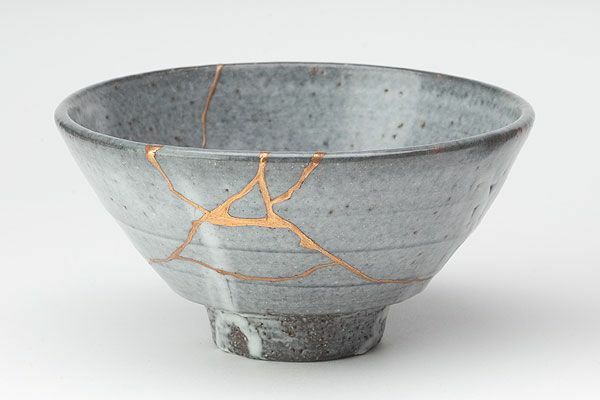 Thank you for teaching me about kintsugi. I had never heard of it before and it is beautiful. A prodigal daughter returns! I knew my schedule would permit me more time this summer! And what a nice entry to come back to! When reexamining my past, I tend to say “Next time I’ll…” rather than “I wished I had…” it creates a nice balance between examining the past yet looking towards the future. Great post and I’m looking forward to reading more!